· Intensive eye zone care. · Get rid of fine lines and wrinkles caused by dry skin. · This product improves elasticity and tighten your skin to reduce wrinkles. · The mask's sealant effects ensure that the moisturizing ingredients are thoroughly absorbed resulting in plump, youthful looking eye zones. · Masks made out of soft Bemliese that feels good on skin. · Bemliese, produced from cotton, adheres comfortably to the areas underneath the eyes. · Mildly acidic, fragrance-free, colorant-free, mineral oil-free. 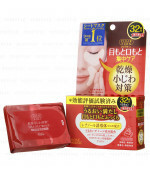 · After washing your face, apply toner and milky lotion to your face before use this product. · Open the flap and take out each mask individually. · Unfold and place under eyes for approximately 15 minutes. 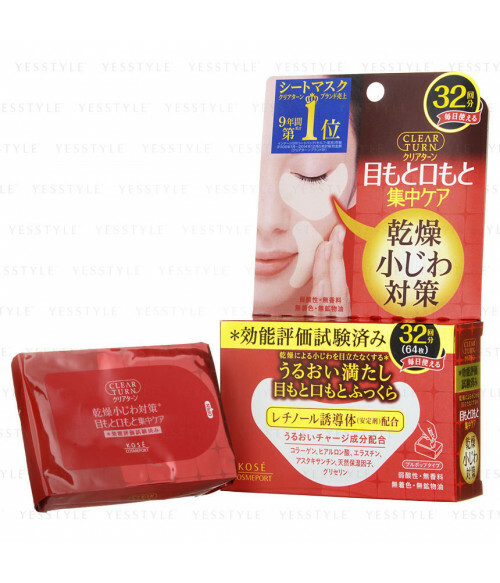 · Especially in the dry season, it is recommended to use the masks twice daily in the morning and at night.